If you work hard then no doubt the engines on your equipment are also running hard. 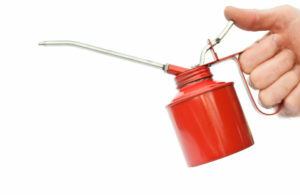 Most contractors are busy with work so quite often regular maintenance can be overlooked. Sure, they get fresh/clean fuel and an oil change every now and then, but for all their hard work, they deserve more. Preventative engine maintenance helps keep downtime to a minimum, saving you time and money down the road. Some tips for preventative maintenance are below. Often the most overlooked, daily maintenance is usually the quickest and easiest to perform. Most people know that checking the oil before each use is the first step to preventing serious engine problems, however, most people don’t realise that in an air-cooled engine, it isn’t just air that does the cooling. Since the engines don’t use a liquid coolant, the oil works as a cooling medium. It is for this reason that it is important to regularly check the oil. Another important part of daily maintenance is checking the air filter. Clogged, wet or damaged filters can reduce the power of your engine and even shorten the life of it by allowing dirt and water into vulnerable areas. 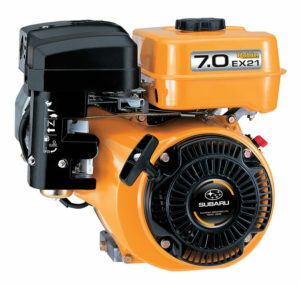 The easiest step when it comes to daily maintenance is cleaning the engine. This not only helps prevent rust but also gets rid of harmful mud and dirt that clog up the engine, preventing proper air flow and in turn causes the engine to run hot. Cleaning the engine also gives you an opportunity to check for leaks and loose or damaged components. To clean your engine, first spray with a non-petroleum based degreaser. After allowing the degreaser to start breaking down the dirt/grease, hose off (be mindful of the air-cleaner and spark plug). Once clean, dry the engine and let it run for a few minutes. 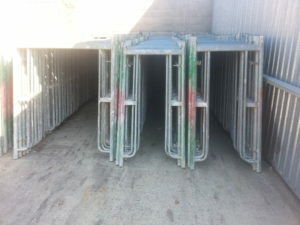 Check into the site, advising the site manager or supervisor of delivery of scaffold components. Check with the site manager or supervisor the location of the unloading zone. This should be in close proximity to the erection site to reduce manual handling. Undertake site induction if this is the first time on the site. Seek information about the worksite and conditions to verify scaffold requirements. Proceed to the unloading area. Interfere with the movement of site traffic. Block emergency access and egress points (people and vehicles). Place site workers or drivers of other vehicles at risk. Place visitors to the site or the public at risk. Be conscious of the work area and take the necessary precautions to safeguard personal health and safety and that of your fellow workers. Take into account the activities of fellow workers and any plant or vehicles operating in the vicinity. Put on any personal protective equipment (PPE) required. This should include safety boots and scaffolder’s gloves as a minimum. The site risk assessment may require other forms of PPE such as hard hats, hearing protection, safety eyewear. If unclear of the PPE requirements, check with the site manager or supervisor before commencing work. 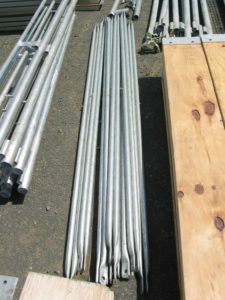 Using correct lifting and carrying techniques, commence unloading the vehicle of scaffold components. Remove topmost items first. Stack the components into groups of like pieces to optimise efficiency of the erection process. The foundation is the supporting structure on which a scaffold is erected. 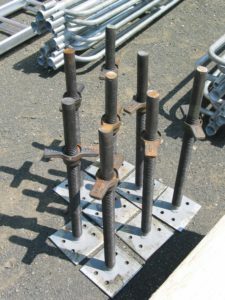 To ensure scaffold stability, the scaffolder must first ensure a sound foundation. Scaffold foundations must be adequate to carry and distribute the loads imposed at each standard and of the whole loaded scaffold. 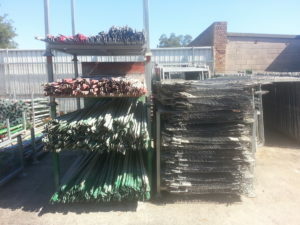 An inadequate foundation can cause a scaffold to collapse. To ensure an adequate foundation, consideration should be given to the intended use of the scaffold and the environment in which it is to be erected. To work out whether the supporting surface or foundation is adequate, consideration should be given to the load the foundation will be required to bear. The purpose of a good foundation is to spread the leg load over a wide area. 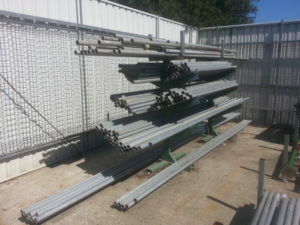 Consideration should be given to the ground or structure on which the scaffold is to be erected as well as the live and dead loads to be carried. 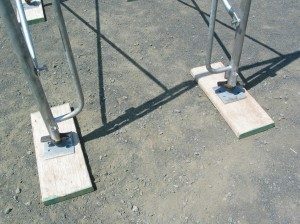 The use of baseplates and soleplates are necessary to stabilise scaffolds and their foundations. 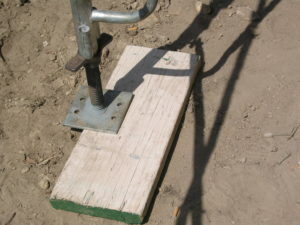 A sole plate is a member used to distribute the load through a base plate to the ground or other supporting structure. A base plate is a plate that is able to distribute the load from a load bearing member to a supporting structure. The foundation conditions will determine the requirement for base plates and soleplates and the dimensions and specifications of each. The total load and the conditions of the supporting soil or floor determine the size of the foundation. When soil conditions are poor or frozen, it may be necessary to dig down to an adequate base material. 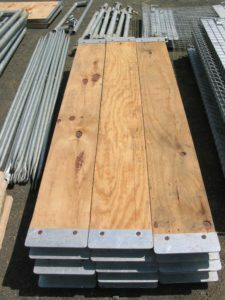 If this is not practical, then the leg load must be spread over a much larger area using larger soleplates or continuous decking under the scaffold legs. To support scaffolds, backfilled soils must be well compacted and leveled. Mud or soft soil must be replaced with gravel or crushed stone that has been well compacted.